As Burma contemplates who will serve as its ninth president, The Irrawaddy reviews the previous eight people who held the position over the last 68 years. Since the country gained independence in 1948, Burma has seen eight presidents in 68 years under three constitutions. With presidential candidates put forward by Parliament on Thursday, National League for Democracy (NLD) nominee Htin Kyaw looks likely to become Burma’s ninth president; the power transfer is scheduled for March 31. The Irrawaddy reviews the personalities who previously held the position in Burma’s past governments. Sao Shwe Thaik, an ethnic Shan, was the first president of the Union of Burma and the last Saopha—or hereditary prince—of Shan State’s Yawnghwe. 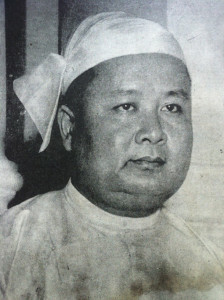 Sao Shwe Thaik served as the head of state alongside Prime Minister U Nu, from the date of Burma’s independence on Jan. 4, 1948 until March 12, 1952. Before he was President, Sao Shwe Thaik had served in the British army. When Gen Ne Win took power in a military coup in 1962, the Shan prince was arrested. He later died in prison. 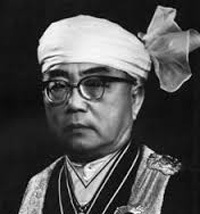 Dr. Ba U was the second president of Union of Burma and an ethnic Bamar. Ba Oo graduated with a law degree from the University of Cambridge and served as the chief justice of the Supreme Court of Burma before he succeeded Sao Shwe Thaik as the President in March 1952. He served in the position for five years, until March of 1957. Mahn Win Maung was an ethnic Karen Buddhist and the third president of Union of Burma. As a former government minister, he was selected by Prime Minister U Nu for the Presidency and succeeded Dr. Ba U in March 1957. Mahn Win Maung served until March 1962 when General Ne Win ousted U Nu’s government in a military coup. He was then imprisoned for five years. Born as Shu Maung, Ne Win briefly took control of Burma in 1958, during a period of military rule known as the Caretaker Government. 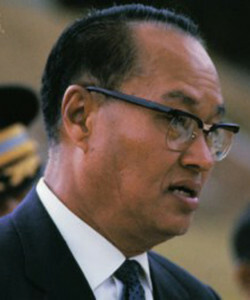 He came to power more permanently in March 1962 through a military coup, and would act as Burma’s head of state for nearly 20 years, until Nov. 9, 1981. 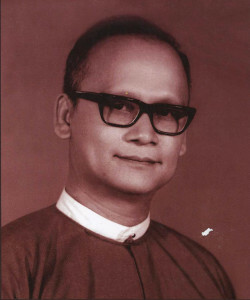 A military commander of Bamar-Chinese descent, he founded the Burma Socialist Programme Party (BSPP) in 1962 and served as its chairman until 1988, resigning during the student uprisings that year. Throughout this period, the BSPP was the only legal political party in the country, and through it, Ne Win championed the nationalization of business and ushered in a period of intense xenophobia. Ne Win remained the commander-in-chief of the military for a total of 26 years. He later died while under house arrest in Rangoon. Gen San Yu, also of Bamar-Chinese descent, was the commander-in-chief of Burma’s military and the fifth president of the country, which was then known as the Socialist Republic of the Union of Burma. He served from November 1981 until July 1988, a time during which Ne Win was still the BSPP party chairman. Before San Yu became president, he played an integral role in drafting the military’s 1974 Constitution. 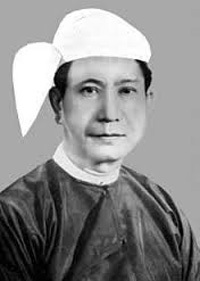 Sein Lwin, an ethnic Bamar, served as the sixth president of Burma for only 17 days, during a period of intense pro-democracy uprisings. During his rule—from July 27 to August 12, 1988—he was better known as the “Butcher of Rangoon” for giving the order on Aug 10, 1988 to open fire on student demonstrators near Rangoon General Hospital. The protests continued until Sein Lwin stepped down. He was reportedly taken care of by the government, and provided with cars, food and support for many years that followed. 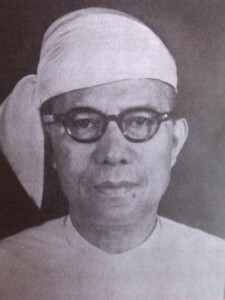 Dr. Maung Maung, an ethnic Bamar, was the seventh president of the Union of Burma and a well-known writer. He studied law in Netherland’s Utrecht University and at Yale University in the US, and served as the Chief Justice under Ne Win’s BSPP government. He served as the president for only one month—from August 19, 1988 until September 18, 1988, before being ousted in a military coup led by Gen Saw Maung. Burma’s government would undergo name changes, from the State Law and Order Restoration Council (SLORC) to the State Peace and Development Council (SPDC), led by military men like Snr-Gen Than Shwe. The country would not have another leader with the “President” title until 2011. 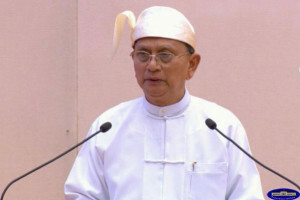 Selected by the Union Parliament for the presidency in March 2011, the general-turned-politician became Burma’s eighth president after an election which was boycotted by Aung San Suu Kyi’s National League for Democracy (NLD) and described by Western countries as “neither free nor fair.” Thein Sein served as the prime minister in the previous military regime from 2007 to 2011. In 2010, he retired from the military, where he had attained the rank of Brig-Gen, and instead led the military-backed Union Solidarity and Development Party (USDP). His tenure as the country’s president ends on March 30, 2016.